A story about a little known period in the life of Pedro Manrique Figueroa, precursor of collage in Colombia. Un relato sobre una etapa poco conocida de la vida de Pedro Manrique Figueroa, precursor del collage en Colombia. 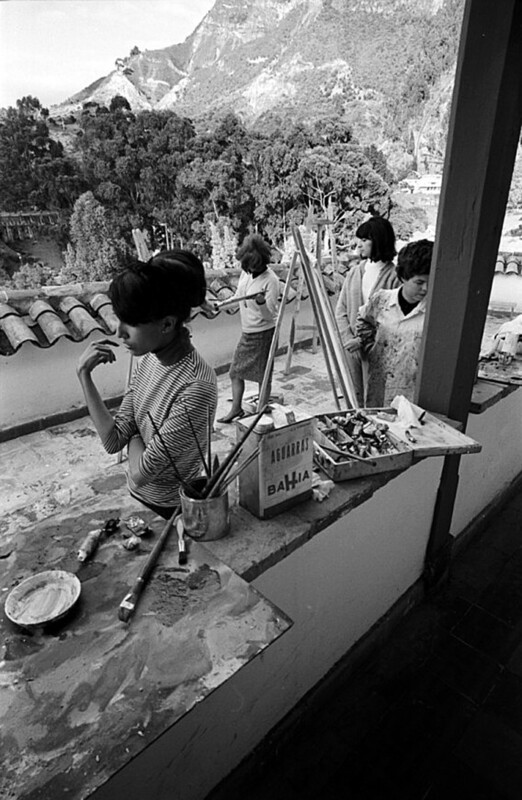 In 1968, the University of the Andes School of the Arts, at Bogotá, appeared to have freed itself from the conception that originated it, in 1954, when the idea of offering aesthetic stimulation to the city’s upper-crust young women, who were then taking private “lessons” in home artisanal skills, reached the ears of Mario Laserna, its rector and founder. 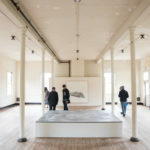 The first Arts Workshop bore the name “Women’s Section” and met in the former laundry of what had once been a women’s prison, as well as in the area that once housed an asylum for female mental patients under the care of holy sisters. It was said “society girls” attended the school to “marry well” and indeed some brilliant matches between fine lineages were made there. The opposite, but symmetrical variation, was that of painter Fernando Botero when he demonstrated professors, talented though penniless they might be, could also strike advantageous alliances when he contracted matrimony with a student, Gloria Zea, the daughter of a top-tier member of the government at that time. Despite the Women’s Section’s artisanal and conservative vocation, from 1956 on, the presence of the Argentine writer and critic Marta Traba reinforced women’s demand for rights. “Marta was a rabble-rouser. She showed us a different, contemporary art, in a quite amenable way. She not only spoke to us of painting in her classes, but showed us Colombian films such as Pinto’s, that had just come in from Paris; or pictures by Pacho Norden like Camilo, el cura guerrillero. We also began to see work from the Nouvelle Vague. 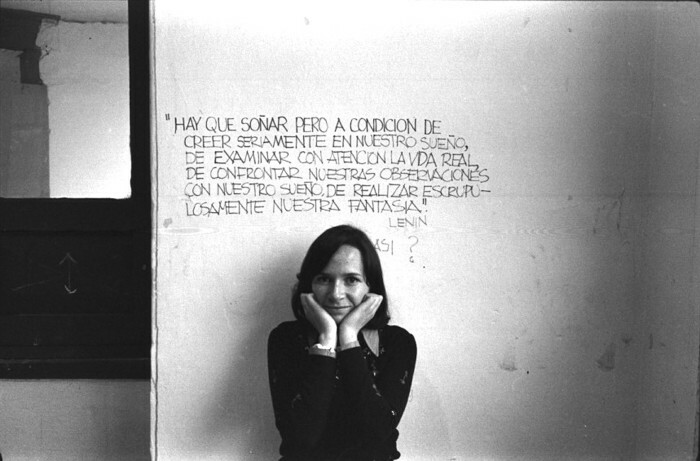 She spoke to us of theatre, of politics, and so she was in that sense the Great Teacher,” Camila Loboguerrero, a student who took her classes in the 60s, recalls. That said, the atmosphere at the school was still reserved. Most of the alumnae yawned in Traba’s classes—Sleeping Beauties of predestined, predictable dreams. Few students in the “Women’s Section” really planned to be artists and even fewer finished their degrees. “My class was ninety and in the end only six of us graduated,” Beatriz González remembers, owning “I didn’t really want to be an artist—it seemed like a really bad idea. One was looking for something else. I wanted to do advertising illustration and go back to Bucaramanga and start an ad agency.” The first and practically only man who dared start studying art in the “Women’s Section” was Luis Caballero. He came in and made a couple of good friends but preferred a change of scenery and went to Europe. 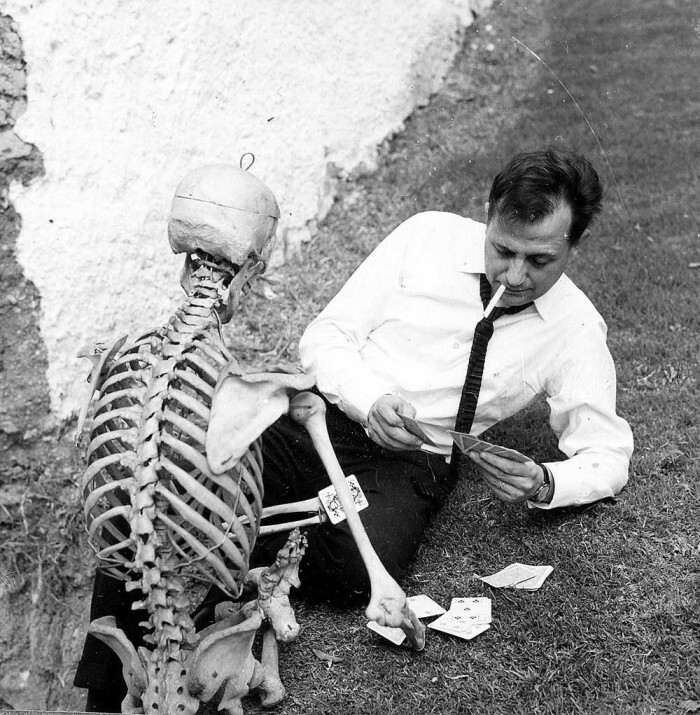 Things had changed in 1968. They forced Hena Rodríguez into retirement and gave her the Chivo de Oro award, the university alumni organization’s highest honor. 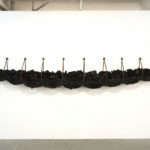 Since 1961 the School of Fine Arts had been under the direction of Spanish-born artist Juan Antonio Roda, himself as cosmopolitan as Marta Traba. His status as a foreigner was enough to make him feel different, ignore the family and ideological connections of an incestuous capital-city culture and make a radical transformation alongside a varied and growing group of faculty and students. Roda broke all the old covenants of inherited academicism and encouraged an atmosphere of academic liberality, creating winsome relationships of trust that deemphasized hierarchies. In 1962, Roda changed the general curriculum to emphasize workshop-based classes as the central feature each semester, at a higher credit value. He eliminated some courses, better coordinated and tightened up the courses that were to center on the workshops, and charted some pathways whose plans were never realized: hiring more faculty at stable salaries, the creation of a publishing arm to specialize in graphics, a publishing imprint in collaboration with other universities and cultural institutions, and the construction of workshop spaces with technical experts and in partnership with artisans’ foundations. This atmosphere was not only propitious for art and other skills; it turned out to be for politics as well. The University of the Andes was especially favorable to the development of small student Marxist and particularly Maoist cells as well as groups influenced by German-Jewish thinker Herbert Marcuse, a major youth-protest figure worldwide. The presence of the Movimiento Obrero Independiente y Revolucionario (MOÍR) was notorious in the Arts School, as was that of Juventud Patriótica (JUPA), communist in origin, and charged with driving the ideological and cultural struggle as part of the campus political revolution. “Every week on the grounds of the El Campito former women’s insane asylum, the era’s filmic New Testament, Battleship Potemkin, was presented, along with Earth and a depressing follow-up of Cuban and Vietnamese short subjects. The usefulness of Trotsky’s assassination was debated, the Paris Commune was evaluated, Che Guevara’s hairstyle and the poet Mao Tse-Tung were imitated; soft drink or water consumption was recommended with every joint and pacifism grew increasingly bellicose,” says architect and university professor Germán Téllez. “The students demonstrated their solidarity with the causes of Los Andes U’s poorly paid employees; nice college-boys and -girls realized the same class conflicts they spent so much school time discussing were being reproduced within the university,” adds Raúl Cristo Ancho, an activist and infiltrator who, alongside Pedro Manrique Figueroa*, founded the Asociación Comunista de Artistas (the ACA), which operated out of a small circus tent set up in a lot near the university in the safety of the Monserrate foothills. The School of Fine Arts, despite not being the sole focus of protest and revolution at the university, became one of its most visible because of its own leanings and the expressive tools it had on hand. Mass protests began in 1968 with a sit-in on the steps to the university entrance. During the so-called “stairs coup” against a tuition hike, there were presentations from the Theater Group, poster and placard designs, bulletin boards, small-scale musical improvisations and the famous happenings, in which artists played a major role. Those protests were the first shakeup for university administrators accustomed to a sensible and intellectually striving student body, fond of feverish enthusiasms but rather lukewarm—even cool—when it came time to take political action. The 1970 protests extended from internal issues and tuition to other causes: defense of the public university, a rejection of military repression, demands for greater university autonomy and denunciations of US meddling. University authorities feared this belligerent focus might end up “spreading communism” to students uninvolved in the protests. During winter break 1971, then university rector Álvaro Salgado, announced an end to new Fine Arts admissions though he committed to each enrolled student’s graduation. The Centro Uniandino de Capacitación Obrera (CUCO), also closed; the Theatre Group leader left the university in favor of staging happenings with clear political engagement. As for the Grupo de Acción Comunal, a decision was made to paralyze it through a failure to advocate resources. 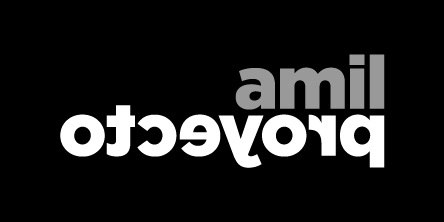 It is said that the stirring slogan that one morning the university found plastered all over campus—loosely translated, “Los Andes: facing Monserrate with its back to the nation”—was the work of JUPA members who had been infiltrated by CUCO students who had themselves been penetrated by the ACA. The Academic Board reiterated its policy that the educational experience ought to have no political orientation. Reactions were swift. The Dean of Faculty, Ernesto Jiménez, tendered his resignation. 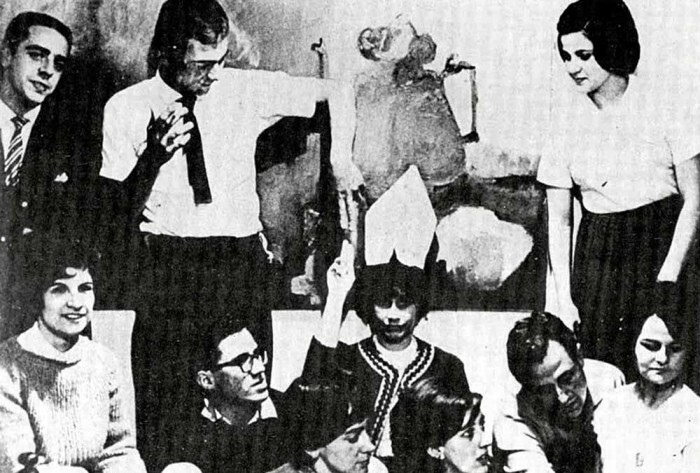 Almost forty art school professors and researchers—including a number of artists and including the school director himself, Antonio Roda—met in General Assembly on 2 July 1971 and sent an open letter to the rector and the Board of Directors as well as the press, criticizing university administrative policy. University Administration’s numeric feint was fallacious. Art courses benefit 38 students but also 519 others from other majors that were supplementing their training with art classes. During the first semester 1971, 172 students from other university faculties and departments attended the Art History course. The last student received his degree in 1974; and up to that day the last member of the Arts faculty was able to justify his stay at the university. 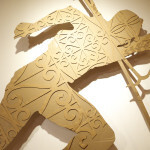 The last graduating student was Margarita Monsalve, whose thesis was a series of engravings. She had to delay handing in her final work two times because the drum on her printing press was stolen; after replacing it with a used part, it was stolen again. It is said Pedro Manrique Figueroa was behind the thefts. As an ACA infiltrator, he sought to motivate art students not to graduate and thus put off the closing that drove art out of the University of the Andes. * A precursor to Collage in Colombia. 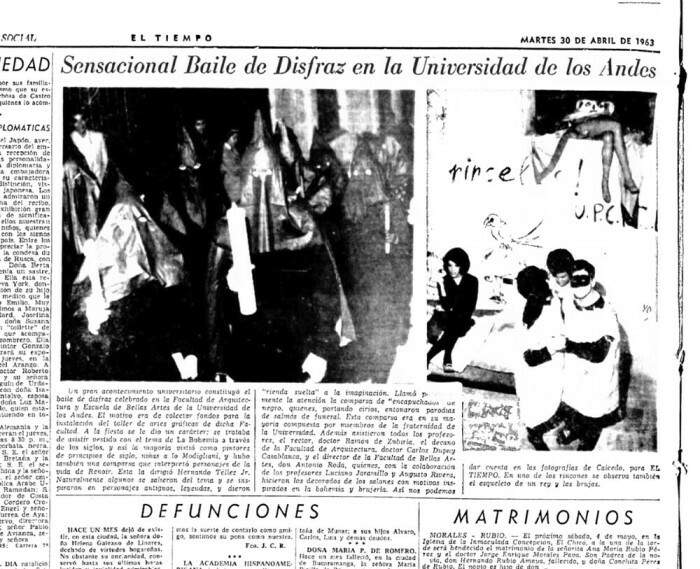 En 1968 la Escuela de Artes de la Universidad de los Andes, en Bogotá, parecía haberse librado de la concepción que le dio origen en 1954, cuando llegó a los oídos de Mario Laserna, su rector y fundador, la idea de dar una estimulación estética a las jóvenes de la alta sociedad bogotana que ya tomaban cursillos privados de artesanía doméstica. El primer Taller de Artes llevó el nombre de “Sección Femenina” y se emplazó en las antiguas lavanderías de lo que había sido una prisión femenina y en el espacio donde hubo un internado para enfermas mentales al cuidado de monjas. La directora de esta nueva “Sección Femenina” fue Hena Rodríguez, quien desde los años cuarenta subsistía dando clases particulares a las prisioneras de la cárcel social de la élite capitalina. Rodríguez fue de las pocas mujeres que en los años treinta había contravenido los preceptos de la sociedad criolla: una mujer no debía viajar sola, ni estudiar, mucho menos frecuentar a otras mujeres para tener conversaciones intelectuales o usar pantalones en vez de falda. Ella fue la única mujer que formó parte del grupo Bachué, un movimiento artístico de vanguardia. La artista ahora parecía alejada de esos embates de juventud: “La orientación que yo le di a la Facultad fue la de que los dos o tres primeros años deben ser académicos —según creo que todo estudio en Bellas Artes debe ser—, y los dos últimos años independizar al alumno para que pueda producir con toda libertad arte moderno en la forma que crea conveniente, naturalmente dirigido. Considero que no se puede llegar a la cumbre del arte moderno sin tener bases académicas o clásicas”. Se decía que a esta Escuela asistían las “niñas de sociedad” para “casarse bien”, y en efecto, se efectuaban cruces entre linajes de alta estirpe. La variación opuesta pero simétrica fue la del pintor Fernando Botero que mostró que los profesores, así fueran talentosos pero pobretones, también se podían “casar bien” cuando contrajo matrimonio con una alumna, Gloria Zea, hija de un político de la plana mayor del gobierno de la época. Pese a la vocación artesanal y conservadora de la “Sección Femenina”, el carácter reivindicativo de la mujer lo reforzó la presencia, desde 1956, de la argentina Marta Traba: “Marta era la revoltosa. Nos mostraba un arte distinto, contemporáneo y de una manera muy amena. En sus clases no solamente nos hablaba de la pintura, sino que mostró películas colombianas como las de Pinto que acababa de llegar de París, o las de Pacho Norden como Camilo, el cura guerrillero. También comenzamos a ver la nueva ola francesa. Nos hablaba de teatro, de política, y en ese sentido era la gran maestra”, recuerda Camila Loboguerrero, una estudiante que tomó sus cursos en los años sesenta. Sin embargo, todavía el ambiente de la escuela era recatado, la mayoría de alumnas bostezaban en las clases de Traba, bellas durmientes en un sueño predestinado y predecible. En la “Sección Femenina” pocas eran las estudiantes que realmente pensaban en ser artistas y más escasas las que terminaban la carrera: “Mi grupo era de noventa y al final nos graduamos sólo seis”, recuerda Beatriz González, que reconoce “… yo realmente no quería ser artista, eso me parecía malísimo. Uno lo que buscaba era otra cosa. Yo quería hacer dibujo publicitario y volver a Bucaramanga y poner una agencia de publicidad.” El primer y casi único hombre que se atrevió a entrar a estudiar Arte en la “Sección Femenina” fue Luis Caballero; pasó por allí, hizo un par de buenas amistades, pero prefirió cambiar de ambiente y viajó a Europa. En 1968 las cosas habían cambiado. A Hena Rodríguez la jubilaron a la fuerza y la condecoraron con El chivo de Oro, la distinción máxima de la asociación de egresados de la universidad. Desde 1961 la dirección de la Escuela de Bellas Artes estuvo a cargo de Juan Antonio Roda, un artista español, tan cosmopolita como Marta Traba, a quien le bastaba su condición foránea para sentirse diferente, ignorar los parentescos familiares e ideológicos de la endogamia cultural capitalina y hacer una transformación radical junto a un grupo variado y creciente de profesores y estudiantes. Roda rompió los contratos antiguos del academicismo heredado, propició un ambiente de liberalidad académica y generó relaciones festivas de confianza y horizontalidad. En 1962 Roda cambió el pensum para darle importancia a las clases de taller como eje central de cada semestre, con mayor valor de créditos. Eliminó cursos, coordinó y precisó mejor las materias que orbitaban alrededor del taller, y marcó unos derroteros que nunca llegarían a cumplirse: la contratación de más profesores con salarios estables, la creación de una imprenta para un énfasis en gráfica, una línea editorial en alianza con otras universidades e instituciones culturales y la construcción de espacios de taller con técnicos y en convenio con fundaciones de artesanos. Ese ambiente no sólo fue propicio para el arte y otras facultades, lo fue también para la política. La Universidad de Los Andes fue especialmente propensa al desarrollo de pequeños núcleos estudiantiles de pensamiento marxista y en especial maoísta, así como a los postulados del pensador de origen judío-alemán Herbert Marcuse, uno de los referentes de la protesta juvenil en todo el mundo. En la Escuela de Artes la presencia del Movimiento Obrero Independiente y Revolucionario, MOÍR, fue notoria, sin dejar aparte a la Juventud Patriótica, JUPA, de factura comunista, encargada de impulsar la lucha ideológica y cultural, como parte de la revolución política en las universidades. “Todas las semanas se presentaba en la sede del antiguo asilo de locas de El Campito el nuevo testamento cinematográfico de la época, el Acorazado Potemkin, Tierra rusa, y una deprimente secuela de cortometrajes cubanos y vietnamitas. Se discutía la conveniencia del asesinato de León Trotsky, se evaluaba la Comuna de París, se imitaba el corte de cabello del Ché Guevara y el poeta Mao Tsé-Tung, se recomendaba ingerir soda o agua con cada cacho de marihuana; el pacifismo se tornaba cada vez más belicoso”, cuenta Germán Téllez, arquitecto y profesor de la universidad. “Los estudiantes se solidarizaron con las causas de los empleados mal pagos de Los Andes, los “monitos” uniandinos se dieron cuenta de que dentro de su universidad se reproducían los conflictos de clase de los que tanto se hablaba en clase”, añade Raúl Cristo Ancho, activista e infiltrado en esa época que, junto a Pedro Manrique Figueroa*, fundó la ACA, Asociación Comunista de Artistas, que funcionaba en una pequeña carpa de circo instalada en un lote aledaño a la universidad en las faldas del cerro tutelar de Monserrate. La Escuela de Bellas Artes, pese a no ser el único foco de protesta y revolución en la universidad, por su misma disposición y por las herramientas expresivas a la mano, sí llegó a ser uno de los más visibles. Las protestas masivas se iniciaron en 1968 con un plantón en las escaleras de entrada a la universidad. Durante este “escalerazo” por el alza en las matrículas, hubo presentaciones del Grupo de Teatro, diseño de carteles y pancartas, periódicos murales, pequeñas improvisaciones musicales y los famosos happenings, donde los artistas jugaban un papel principal. Estas protestas fueron un primer cimbronazo para las directivas de la universidad, acostumbradas a un estudiantado juicioso e intelectualmente inquieto, de febriles entusiasmos pero tibio y hasta frígido a la hora de pasar a la acción política. Las manifestaciones de 1970 se extendieron de lo doméstico, las matrículas, a otras causas: la defensa de la universidad pública, el rechazo a la represión militar, la demanda de mayor autonomía universitaria y la denuncia de la injerencia norteamericana. Las autoridades de la universidad temían que el foco beligerante terminara por “contagiar de comunismo” a los estudiantes alejados de la protesta. 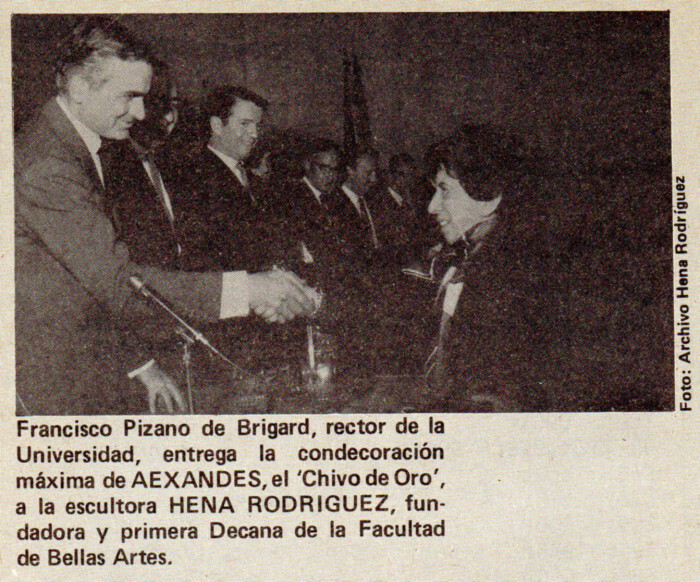 Durante las vacaciones de mitad del año 1971, el entonces rector, Álvaro Salgado, anunció el cierre de nuevas inscripciones al programa de Bellas Artes, aunque mantuvo el compromiso de graduar hasta el último estudiante inscrito. El Centro Uniandino de Capacitación Obrera, CUCO, también cerró sus puertas, el director del Grupo de Teatro salió de la universidad por la gestación de happenings con clara orientación política. En cuanto al Grupo de Acción Comunal, se optó por no asignarle recursos para paralizarlo. Se cuenta que la famosa arenga: “Los Andes, de frente a Monserrate pero de espaldas al país”, con la que amaneció empapelada un día la universidad, era de autoría de miembros de la JUPA infiltrados por estudiantes de la CUCO que habían sido penetrados por la ACA. El Consejo Académico reiteró su política de que la experiencia educativa no debía tener orientación política. La reacción no se hizo esperar. El decano de la Facultad, Ernesto Jiménez, presentó su renuncia. Cerca de cuarenta profesores e investigadores de la Facultad —entre ellos varios artistas, como el mismo director de la Escuela, Antonio Roda— se reunieron en Asamblea General el 2 de julio de 1971 y enviaron una carta abierta al rector, al Consejo Directivo y a la prensa criticando las políticas de la gerencia universitaria. Cinco días mas tarde, y después de recibir una carta de los estudiantes en apoyo a sus profesores, el presidente del Consejo Directivo, el empresario Hernán Echavarría, respondía a la misiva con otra publicada en el periódico El Tiempo: “Lamentamos que ustedes hayan optado por hacer públicos los desacuerdos, contrariando así una de las más claras tradiciones uniandinas, cual es la de tramitar dentro de nuestra propia institución las naturales diferencias que surgen en la vida universitaria.” Echavarría, junto a los otros miembros de ese Consejo siempre compuesto por hombres vinculados a la industria y el comercio, daba argumentos adicionales para explicar el cierre de Bellas Artes: “Este programa cuenta con trece profesores que dictan treinta y dos cursos para treinta y ocho alumnos propios de la Escuela. 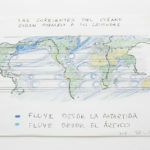 Desde 1964 hasta la fecha (1971) se han graduado treinta alumnos como maestros de Bellas Artes […] frente a los graves y difíciles problemas de crecimiento urbano hay que dar prelación a los estudios tendientes a dar soluciones eficaces al desarrollo del país”. El argumento numérico esgrimido por la gerencia universitaria era falaz: los cursos de arte beneficiaban a treinta y ocho alumnos, pero también a quinientos diecinueve estudiantes de otras carreras que ese semestre complementaban su formación con cursos de Arte. 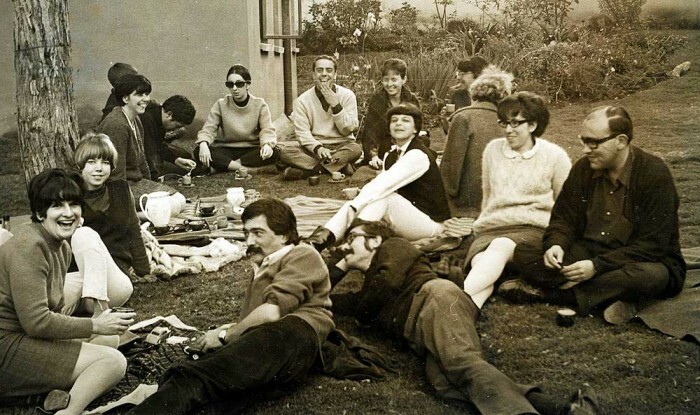 Nada más al curso de Historia del Arte asistieron, durante el primer semestre de 1971, ciento setenta y dos estudiantes de otras facultades y departamentos de la universidad. La Escuela de Bellas Artes prosiguió su actividad pero la agonía generó divisiones internas. Algunos profesores responsabilizaron a Roda por la situación, por firmar la carta y por haber rechazado años antes la oferta de sacar la Escuela de la universidad para mudarla al norte a un entorno más seguro para el arte y para el resto de la institución. Una reconstrucción del acta de un consejo de profesores de planta recoge un compendio de frases dichas al Director: “la dirección es un cargo de servicio, no para llevar causas personales”, “no nos sentimos representados por usted”, “usted es terco”, “ está desgastado” “su crítica no debe trascender su cargo como profesor o director”, “su mandato genera polarización”. 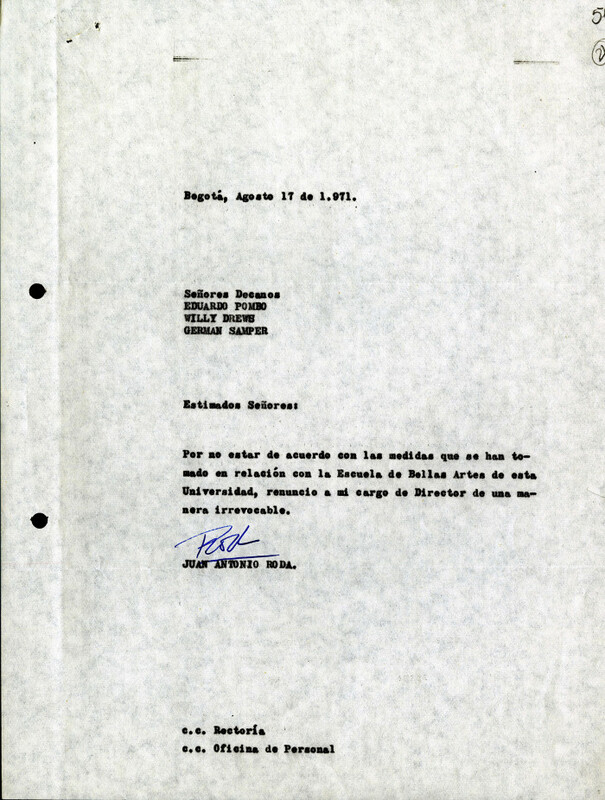 En agosto de 1971 Roda envió una carta a la gerencia universitaria: “Por no estar de acuerdo con las medidas que ustedes han tomado en relación con la Escuela de Bellas Artes de esta universidad, renuncio a mi cargo de Director de manera irrevocable”. En 1974, el último de los alumnos obtuvo su grado, y hasta ese día el último de los profesores de Arte pudo justificar su permanencia en la universidad. La última estudiante en graduarse fue Margarita Monsalve, con una serie de grabados. La estudiante cuenta que tuvo que postergar dos veces la entrega de su trabajo final pues el cilindro de la imprenta fue robado, reemplazado con un repuesto usado, y luego vuelto a robar. Se dice que detrás de estos robos estuvo Pedro Manrique Figueroa que, como infiltrado de la ACA, motivó a los estudiantes de arte para que no se graduaran y así evitar el cierre que expulsó al arte de la Universidad de los Andes. 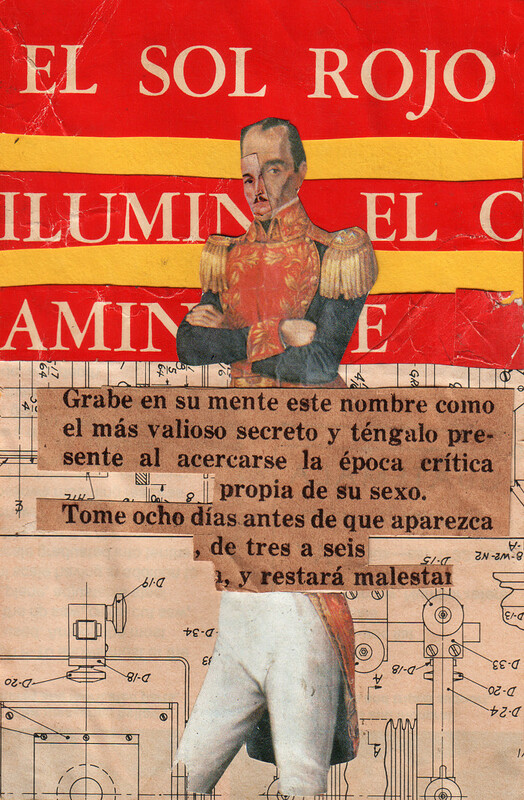 * Precursor del Collage en Colombia. *Profesor, Universidad de los Andes.